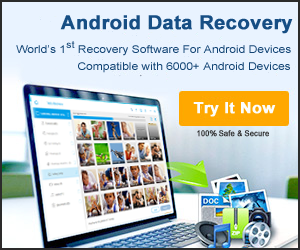 Suffering from loss of data and need a solution? Data loss of any kind is a nerve wracking and unpleasant time as businesses and individuals can heavily rely on stored data for various reasons. If you lose data and want it recovered here are some questions and answers to some of the most likely problems and their solutions. I have a damaged hard drive – does this mean that I have lost everything that was on it? Not in all cases – many data recovery experts can open up the damaged hard drive and by taking certain components from it and putting them into a new and healthy machine can recover lost data for you. This is a procedure that should not be attempted at home as there is a risk that dirt and dust from the air can get inside the hard drive and do even more damaged. Particularly to the platters which are the magnetic disks that data is stored on. If this happens, there is little chance of the data being recovered successfully. I have just deleted a very important document from my recycle bin and it is the only version, what can I do? First of all don’t worry! When you delete a document or file even from the recycle bin it is not actually fully deleted. The file or document will still be on your hard drive, it will just be hidden. However all files and documents leave indexed pointers that will lead a data recovery expert to where it is now located. Often these hidden files are not in a readable format. So after they have been found they need to be manipulated so that they are restored to their original state. If you have deleted something that is important and needs recovering, it is best to speak to an expert before continuing to work on the PC as you can sometimes mistakenly overwrite the data you are trying to find. Not always, even after reformatting data is still left on the hard drive, it is just deeply embedded and data recovery experts usually can do some detective work and recover this lost data for you. My computer has a virus and I can’t get to my data. what can I do now? Firstly you should disconnect your computer from the internet. If you have not already done so as this can protect you from further external attacks. Then you should speak to a data recovery expert who will be able to recover the data stored on your hard drive before it becomes inaccessible due to the virus. As you can see there are different ways that data can be recovered even though it appears to be lost, inaccessible or has even been ‘permanently’ deleted from your recycle bin. So, if you are suffering from any type of data losses don’t worry and speak to a data recovery expert as soon as you can. They should be able to work out a solution that will have your machine back to normal in no time.